Chair with armrests and inside cushion in leather Penelope Oggi. Elegant and very comfortable chair from the Alias Elle series designed by Eugeni Quitllet. 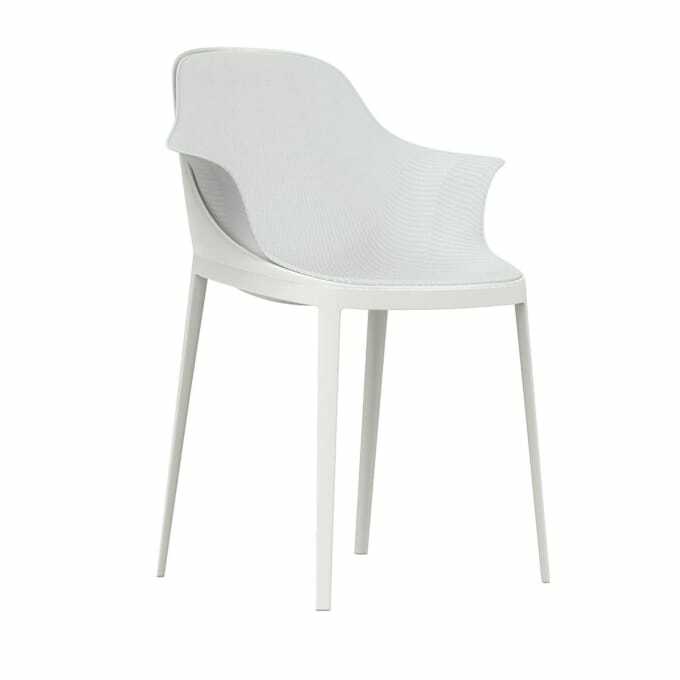 Like the other chairs Elle the frame of the 072 is also made of aluminum and either lacquered or bright polished available. The seat shell made ? ?of polyurethane TECH ® has comfortable armrests. The inner side of the seat shell and armrest is equipped with a seat cushion, which can be ordered with Kvadrat ® fabric or leather cover. The international success of the Alias brand is based on the on-going work of the company in developing creative research and product quality. You can see the result in the high-quality design-furniture, such as armchairs, chaise longue and tables from the Frame collection. The Spaghetti Chair by Giandomenico Belotti is certainly one of the classics. Do you have a question about "Elle arm soft"? How can we contact you?